within 2-3 days from payment of order. TEG1-12610-5.1, TEG1-12611-6.0,TEGB1-12610-5.1, TEG1-12611-8.0, TEG1-12610-4.3 stock modules are supplied with Graphite on the hot side and optional cold side. We are now supplying both high temperature Calcium/Magnesium (CMO) up to 800°C TEG Modules and Cascade High Temperature (CMO) bonded to Bi2Te3. 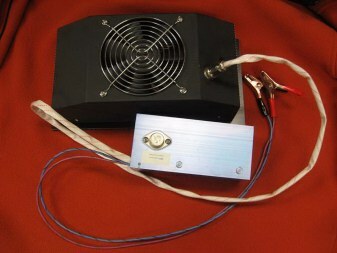 We also supply all hardware to Customize your Thermoelectric power assembly. Belleville spring washers for correct torque rating on all modules we sell. All you require to build you own Thermoelectric Power Generators (TEG) OR Peltier cooler.